The Barabanki district is one of four districts of Faizabad division, lies at the very heart of Awadh region of Uttar Pradesh state of India, and forms as it were a centre from which no less than seven other districts radiate. It is situated between 27°19 and 26°30 north latitude, and 80°05 and 81°51’ east longitude; it runs in a south-easterly direction, confined by the nearly parallel streams of the Ghaghara and Gomti. With its most northern point it impinges on the Sitapur district, while its north-eastern boundary is washed by the waters of the Ghagra, beyond which lie the districts of Bahraich district and Gonda district. Its eastern frontier marches with Faizabad district, and the Gomti forms a natural boundary to the south, dividing it from the Sultanpur district. On the west it adjoins the Lucknow district. The extreme length of the district from east to west may be taken at 57 mi (92 km), and the extreme breadth at 58 mi (93 km); the total area is about 1,504 sq mi (3,900 km2): its population amounts to 2,673,581, being at the rate of 686.50 to the square km. The Barabanki city is the district headquarters. The district under British rule had an area of 1,769 sq mi (4,580 km2). In 1856 it came, with the rest of Oudh, under British rule. During the Sepoy war of 1857-1858 the whole of the Bara Banki talukdars joined the mutineers, but offered no serious resistance after the capture of Lucknow. The principal crops are rice, wheat, pulse and other food grains and sugarcane. Trade in agricultural produce is active. Both the bordering rivers are navigable; and the district is traversed by two lines of the Northern Railway and North-Eastern Railway, with branches having total length of 131 km. It has good road connectivity also including National Highways (NH 24A, NH 28, NH 28C & NH 56A), State Highways and various link roads. The district was known before the Muslim conquest as Jasnaul, from Jas, a raja of the Bhar tribe, who is said to have founded it before 1000 AD. With a change of proprietors came a change of name. The Muslim owners divided the lands into twelve shares, over which the respective proprietors quarrelled so incessantly that they were called the Barah Banke, or twelve quarrelsome men. Banka, in Awadhi, meaning a bully or brave. 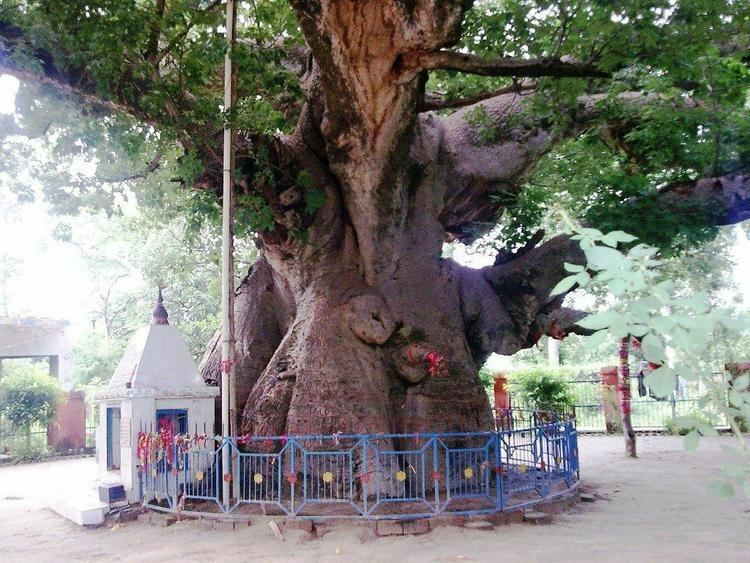 Others derive the name from ban, meaning wood or jungle, and interpret Barabanki as the twelve shares of jungle. The districts economy is primarily based on agriculture. Agriculture, bio-gas plants, animal husbandry, small-scale industries provide direct and indirect employment to the people of district.